Growth and development: studies examining growth retardation and zinc deficiency have confirmed zinc repletion leads to improved levels of growth hormone, insulin-like growth factor and insulin-like growth factor-binding proteins. Gastrointestinal structure and function: deficiency in zinc has a severe impact on villi (atrophy), tissue integrity (disruption of tight junctional complexes), and increases inflammation. Furthermore, zinc protects intestinal cells from excessive apoptosis driven by inflammation. Prostate health: the prostate contains the highest zinc concentration of any soft tissue. Dietary zinc deficiency is associated with increased DNA damage in the prostate during oxidative stress, perpetuating an increased need for zinc and exacerbating a zinc deficiency. Fertility: both male and female fertility are dependent on adequate zinc due to its critical role in the formation and maturation of spermatozoa, as well as ovulation and fertilisation. Pregnancy and lactation: zinc is recognised as a key nutrient in embryogenesis, as well as foetal growth and development. 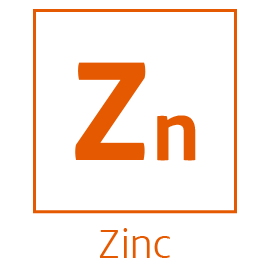 There is specific interest in zinc’s role in pregnancy regarding the prevention of pre-eclampsia and foetal growth restrictions, both of which have oxidative stress as a driving component. Antioxidant protection: zinc provides antioxidant protection in a multitude of ways including protection against vitamin E depletion, restriction of endogenous free radical production, as a structural component of superoxide dismutase (SOD) and a scavenger of free radicals. Zinc supplementation tops the list when patients present to the Emed clinic with allergies or an autoimmune conditions. This is due to new research indicating zinc is capable of inducing immune tolerance. The mechanism for this in multiple sclerosis has been explored in vivo with a Th1/Th17 cell-dominated immunopathogenesis, which demonstrated zinc significantly induces T-regulatory cells while decreasing Th17 cells systemically. Add this to the already established roles zinc plays in the immune system and you can see why zinc is essential for our clinic patients. 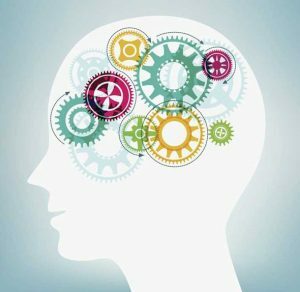 In the central nervous system, zinc is found primarily in the brain. The area of highest zinc concentration is the hippocampus, the area associated with emotion, memory and the autonomic nervous system. The hippocampus is particularly vulnerable to glutamate excitotoxicity, which appears to be potentiated by zinc deficiency. For example, extracellular glucocorticoid concentration in the hippocampus is increased by dietary zinc deficiency, which can elevate glutaminergic neuron activity. When patients present with stress, both magnesium and zinc are essential minerals to prescribe. The use of zinc for depression has been previously explored, however not all of the mechanisms have been clear. One of the antidepressant-like activities of zinc is now suggested to be via increasing brain-derived neurotrophic factor (BDNF) and inducing neurogenesis. In one double-blind placebo-controlled trial, overweight depressive patients were randomised to receive either 30 mg of zinc per day or placebo. After 12 weeks, serum zinc and BDNF levels increased significantly in the intervention group compared to placebo, as well as reducing depression severity. Helpful results such as these give confidence that prescribing zinc is a valid strategy for the holistic treatment of patients presenting with mood disorders. 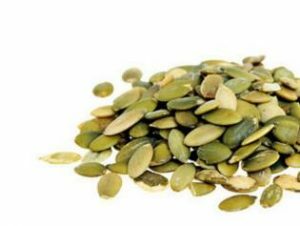 Did You Know Zinc Has Insulin-Like Activity? Zinc supplementation helps in the management of insulin resistance and metabolic syndrome with some useful mechanisms. For example, zinc exhibits insulin-like activity due to its ability to promote both lipogenesis and glucose transport. Within skeletal muscle cells, zinc has been found to increase tyrosine phosphorylation of insulin receptor substrate-1 (IRS-1) in the presence or absence of insulin. As with all supplementation, it is essential to supplement with the most bioavailable form. Zinc bisglycinate is an amino acid chelate that provides enhanced absorption for your patients. Tightly bound to two glycine molecules, Zinc bisglycinate is rapidly absorbed into the enterocyte where it disassociates into zinc and glycine for utilisation at the cellular level. Zinc bisglycinate has reduced potential for interaction with other divalent minerals including copper, calcium and iron. Zinc Is More Than a One Hit Wonder! 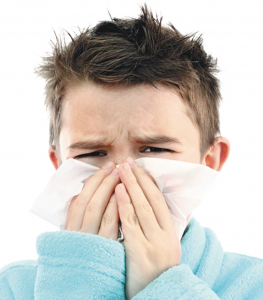 Despite what you may think, zinc is not just an immune nutrient you turn to for colds and flu. Instead, this essential mineral plays a significant role in growth, gastrointestinal structure and function, prostate health, fertility and antioxidant protection. That said, it’s not surprising that the impact of a zinc deficiency and its influence on chronic pathologies is subject to a great deal of research; with recent investigations revealing zinc is indispensable in the treatment of allergic and autoimmune disorders, stress and anxiety, depression and metabolic syndrome. By making zinc a foundational nutrient in your diet and supplement routine, you are capable of supporting multiple health systems. A truly holistic mineral – treating the whole person with one single nutrient.